Inside: Discover the step-by-step process for becoming a foster parent. 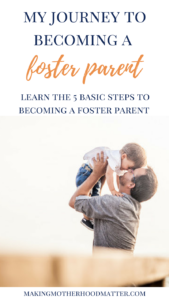 The good news is that as soon as you get started in the process of foster parenting, life will get much easier very quickly as you go along. Lots of people out there possess the drive and motivation of becoming a foster parent – they naturally have a desire to nurture children, or they feel an identification with disadvantaged youngsters. However, just as many people don’t know the best way to go about it. The good news is that as soon as you get started in the process of fostering (which can seem initially daunting), life will get much easier very quickly as you go along. We will outline the necessary steps and the best way to begin your journey. Firstly, there are two directions that you can go down, with neither path being the wrong one to choose – it’s all down to whatever feels right for you in your circumstances. You can either foster through your local authority’s fostering team, or you can go independent and foster through a private fostering agency. So, this isn’t about your foster child coming to visit you (not yet! ), but someone from the agency will usually arrange to come and visit you at your humble abode. The reason for the home visit is understandably to get a read on you in your home, but it’s generally their first chance to get as much information as they can on yourself and your current family, getting more elucidation on your life experiences and where you have taken up residence in the past. The next step is when things start to get a little more serious, although at the same time you’ll take comfort that you’re definitely now fully immersed in the process. A social worker will get allocated to you, who will typically visit your home on average around 3 times a month over a 3-month period, to assess your compatibility to become a foster carer, displaying all their findings in a ‘Form F Report’. They will collate all kinds of references on you: general safety, police and medical, but they will also obviously have more time than the home visit to go deeper into your family history. You shouldn’t be anxious, many would-be-fosterers innately have the attributes needed to become perfect foster carers, chances are you’ll be part of this trend. To further develop your understanding, the next part of the journey is to essentially go to foster school and partake in a ‘skills to foster’ course. It’s only 3 and a half days, so you’ll be graduating in no time at all. If anything, it’s a great opportunity to encounter other upcoming fosterers who are in the same boat as you. At the panel meeting with your foster organization, your social worker’s Form F Report will be discussed in detail. Then a final decision will be reached on whether you’ll sail on to become a foster carer. Again, don’t worry! By this point, you definitely would have known if you were on the right track or not. The recommendation for your approval will be sent to the Agency Decision Maker, who will then finalize the approval! Best of luck in your transitional journey to foster care. This piece was written by Ryan Duffy. He is a freelance writer who is a recent university graduate in Media Studies. His passion for people and writing has encouraged him to pursue this career full-time. Writing on behalf of a fostering agency in Liverpool, he enjoys writing about lifestyle subjects and this is where most of his work has taken him. Connect with him on twitter @Ryan_Duff199. P.S. If you enjoyed this piece, you may also like How To Make Motherhood Moments Matter for Your Family. Life is busy. 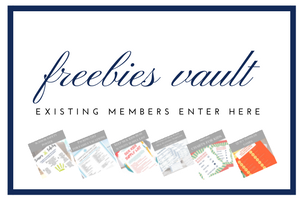 For stay-at-home moms, working moms, work-from-home moms, or any other kind of moms, life is rushing by. If you are like me, you are trying to capture the gloriously ordinary moments in your child’s life. In the chaos, I find myself desperately attempting not to miss any special moment or skip any milestone. Here are some tips I use to help myself slow down, and make motherhood moments matter for my family.